I swear, I think these things will be the death of me. Yep – dirty socks. My son’s dirty socks, to be exact. We’ve been battling over them for months. Each of my kids has a dirty clothes hamper in their bedroom. Maybe I’m a little ambitious, but I would like for them to put their clothes in that hamper so that laundry day is easier for me and the results will last longer. Juggling a church, a family, a house, and, well, a life doesn’t leave a lot of extra time for doing extra laundry if clothes run out midweek because they forgot to put them in the hamper before laundry day. They do pretty good with it . . . except for Gus and his socks. Back in the spring, I noticed that when I loaded his dirty clothes into the washer, I was seeing very few socks in the mix. Like maybe three. Socks, not pairs. Every time I would send him up to his room to find the rest of his dirty socks. Every time he fussed and cried and stomped his way upstairs, usually to return with maybe two more. Socks, not pairs. Finally, I had all I could take. The weather was warming up, so I bought him a pair of Crocs and banned him from wearing socks ever, for any reason except for P.E. day at school. Once school let out for summer, socks were totally banned. It was heavenly! When school started back this fall, I relented and let him wear the cool brand new running shoes that his grandparents bought him for the new school year. I thought we were doing better with the whole sock thing. Until tonight. We are traveling soon to the farm. I went into his room to start gathering clothes for the trip. I opened his sock/underwear drawer, and guess what I found? Balled up dirty socks. I think there were five of them. Socks, not pairs. They weren’t just a little dirty. They were a LOT dirty. Apparently he has progressed from throwing his dirty socks under the bed to tossing them into his drawer – to wear again. (And from the looks of them, again and again and again.) Let’s all say it together . . . Ewwwww, gross!!! Maybe I should celebrate that he isn’t, for the most part, throwing his socks in the floor anymore. I mean, they are in the drawer, not on the floor. But really, is it easier to put dirty socks in a drawer than it is to put them in a great big blue hamper? And does he really not see a problem with wearing socks that are absolutely stiff with grossness? I just don’t get it. Not at all. I’m at a loss as to what to do with my son and his dirty socks. The weather is still mild here in Charleston, but cooler weather will be here soon. I could force the Crocs until the cold arrives, but then what? Lined Crocs? Would they be warm enough? Would they end up stinking worse than dirty socks? Seriously, I need suggestions. Or a happy pill. Or both. Jan, your post reminded me of a poem called Ode to My Socks by Pablo Neruda. I bet Neruda’s poem is a good one. This is a problem for all mom’s and dad’s who do laundry and have young boys. Or grown boys. Or boys old enough to do their own laundry. I have absolutely zero ideas or suggestions, except maybe, let it go? buy more socks? buy really cheap ones and consider them a disposable item? 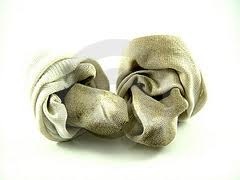 Seriously, I think there is a sock eater in all boys rooms, because not only do they rarely make it into a hamper, but they often disappear completely….